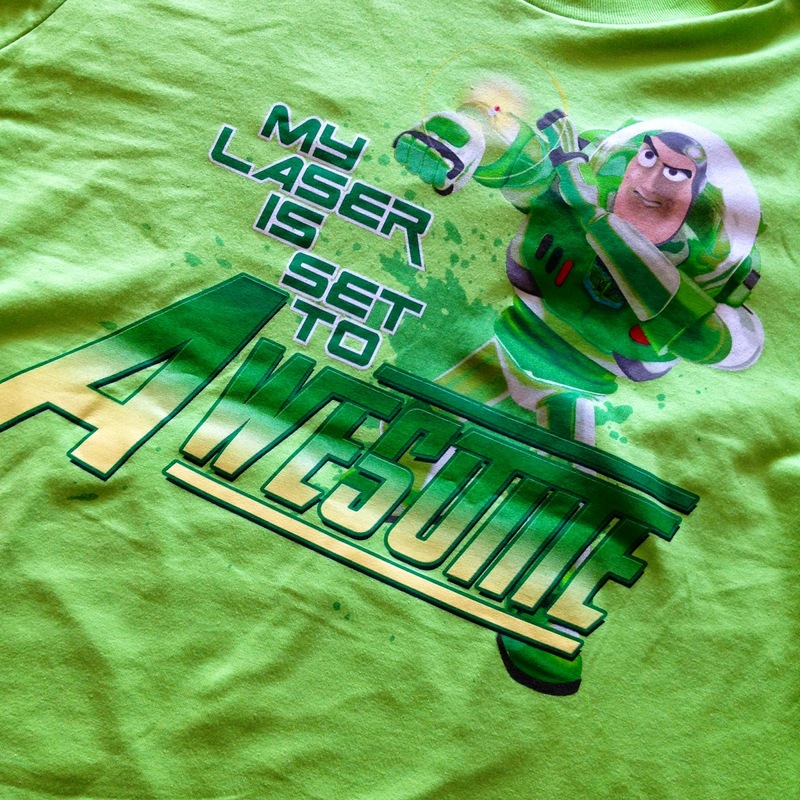 Another fantastic new T-shirt from the Disney Store, here we have the Buzz Lightyear "My Laser Is Set To Awesome" men's tee! This was just released at the Disney Store (and also apparently the Disney Parks) last month, and boy did I grab it up fast. 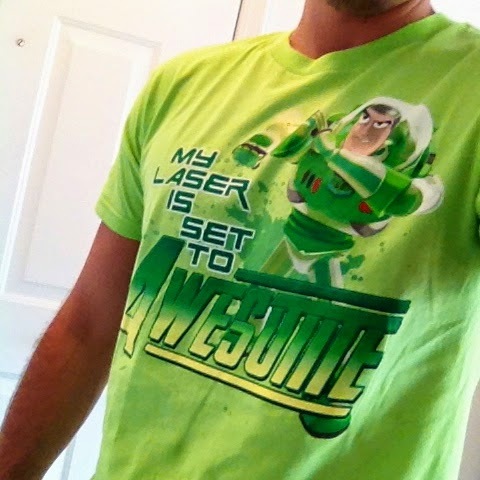 With being a fan of Toy Story and of the word "awesome" (not to mention the strikingly cool green color and Buzz graphic), this shirt was a must have for me. When I tried this on, I was immediately impressed with the very soft material it's made from and the way that it fits. Disney Store/Parks shirts are sometimes a bit more "boxy" than "fitted", but this one fits perfectly somewhere in between. 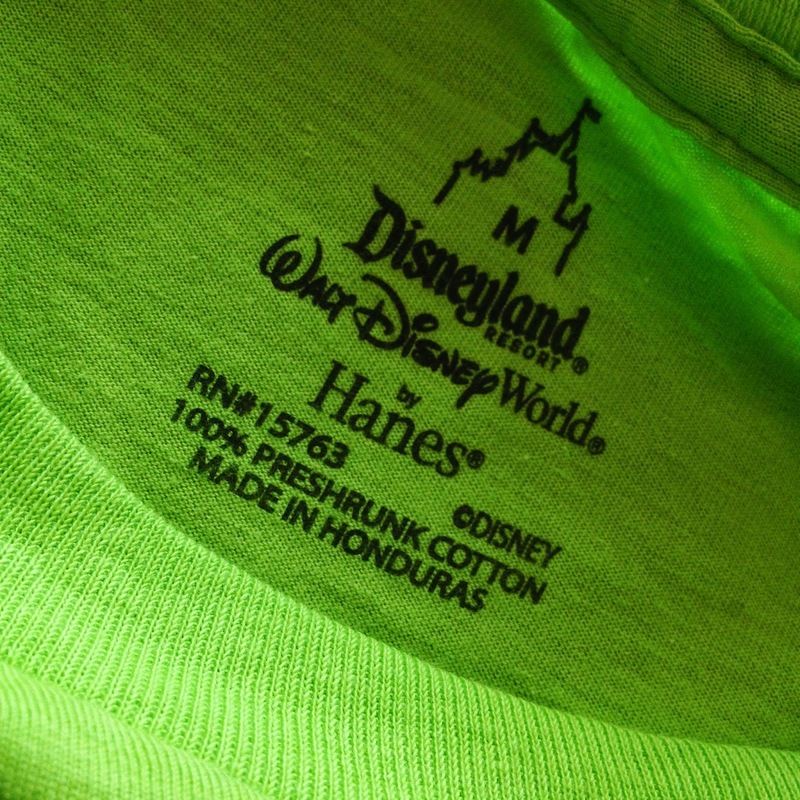 It's made by Hanes, is 100% cotton and is preshrunk (so you don't have to worry about it getting smaller after it's washed and dried). If you don't have access to a nearby Disney Store or any of the parks (like me), no problem. This is currently available on the Disney Store's website for $24.99, but hurry if you're interested! 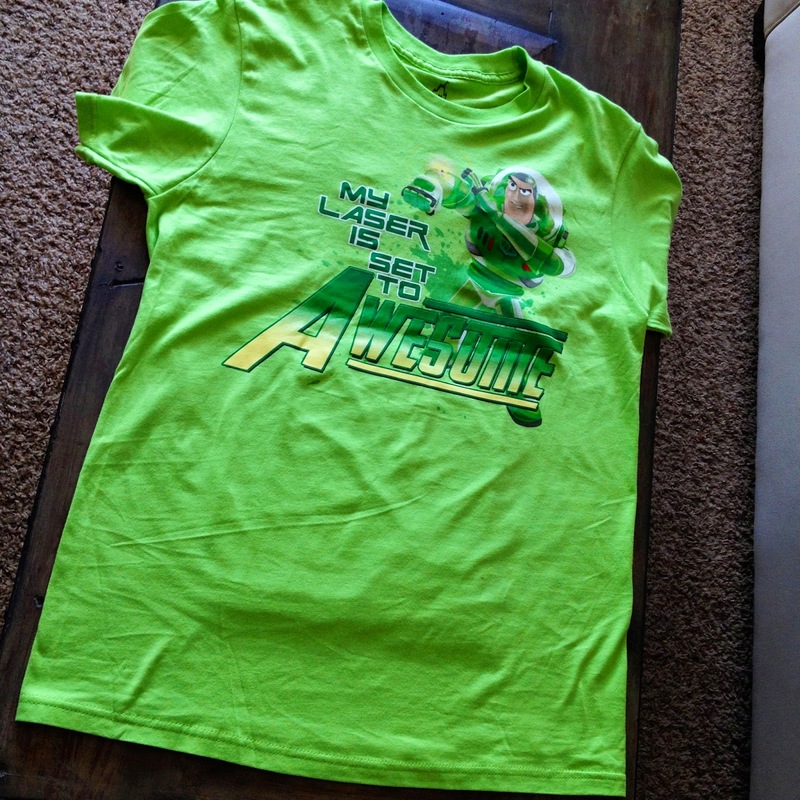 Shirts as "awesome" as this won't stay around on there for long. Have any questions? Feel free to leave a comment or shoot me over an email. As usual, thanks for stopping by the blog and be sure to check back daily for more items from my Pixar collection!